The capital will be deployed over the next 18 to 36 months and the portfolio will likely have roughly seven active investments at any one time. While food and beverage companies are obvious targets, Sonoma Brands will also consider personal care brands and technology plays within the CPG space as well. To further build out its investment team, Sonoma Brands brought on Josh Rombach, formerly of BlackRock Private Equity Partners, and Shahir Amin, a former member of the private investments team at the University of North Carolina. Although the fund has just technically launched, it’s already completed its first investment: fellow Sonoma County brand Guayaki, which produces a line of organic yerba mate teas, shots and ready-to-drink beverages. “We feel that this is going to be, well already is, an iconic brand and a very material brand in the energy, clean, tea space,” Sebastiani said, adding that he was also impressed with the mission of the company. To date, he noted, Guayaki has reforested over 100 thousand acres in South America and is working to design a nationwide, carbon-free, DSD network. He also believes that there is plenty of white space and given that Guayaki has relatively low ACV in grocery, mass and c-stores, there’s certainly room for growth. Although the Guayaki investment has come quickly, Sebastiani is well aware that much has changed in the investment ecosystem since he started Sonoma Brands in January 2016 — namely, an increase in the number of funds seeking to invest in food and beverage companies. He believes his own experience as an operator, and the success Sonoma Brands has seen with Smashmallow and Zupa Noma, will help the fund stand out. Entrepreneurs, he said, want an investor who knows the struggles in starting a brand and who can provide concrete, actionable assistance. The skills of the Sonoma Brands “SWAT” team are evidenced in the rapid growth of its Smashmallow brand, which now has 45 employees. Founded in August 2016, the line of marshmallow-based snacks has grown to be sold in over 10,000 retailers. The brand will launch its flagship marshmallows nationwide with Target in February and Walmart will come online soon after. 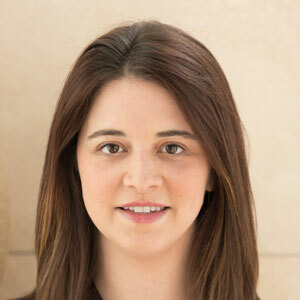 Going forward, the brand will be run by Lacey, the former VP of Finance at baby food brand Plum Organics, former CFO and interim COO of Krave, and most recently, former CFO at personalized nutrition startup Habit. Sebastiani estimates that he will personally still spend 20 to 30 percent of his time on Smashmallow, what he calls his “second act to Krave,” but it will be Lacey who will oversee the day-to-day work of running the business. Lacey told NOSH that he expects to bring Smashmallow to a run-rate of $30 million in sales by year’s end, nearly triple the business from 2017. The year will also see more innovations from Smashmallow, including a new cookie dough flavor launching today, seasonal releases such as sugar cookie and pumpkin pie that will land the brand off-shelf placements, and a new line under the brand. Smashmallow will also invest in improved equipment and processes to make production more efficient. To help drive this growth, Smashmallow has raised $10 million – $5 million from VMG and $5 from Sonoma Brands, the new fund’s second investment. VMG Managing Partner Wayne Wu said the desire to work with Sebastiani — who he called “iconic” — dates back to when VMG discussed investing in Krave. 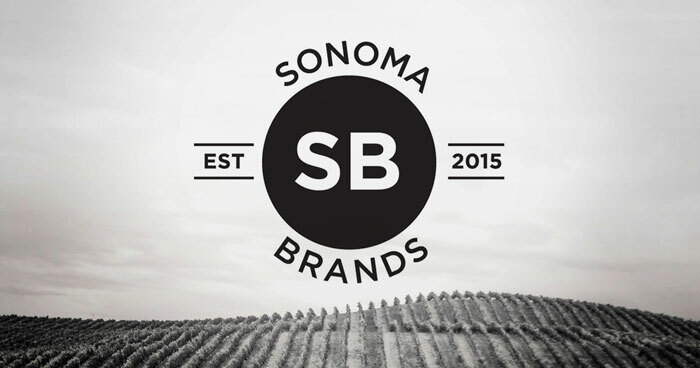 Although that deal did not come to fruition, the conversations continued and respect grew even more as Sebastiani launched Sonoma Brands, for which VMG was the first major outside partner. Wu added that the VMG team also knew the strength of the Sonoma Brands and Smashmallow team, many of whom had worked on former VMG portfolio brands Pirate’s Booty and Pretzel Crisps. Zupa Noma, Sonoma Brands’ other incubated brand, isn’t left out of the 2018 planning. Jennifer Berliner was recently appointed president of the company and the team has grown to six full-time staff. Sebastiani told NOSH that while the brand isn’t pulling out of retail — it’s currently sold in close to 1,000 retailers — it will focus more on direct-to-consumer sales, including its subscription program. In 2018 Zupa Noma will launch into adjacent categories beyond soup that, to start, will only be direct-to-consumer offerings. 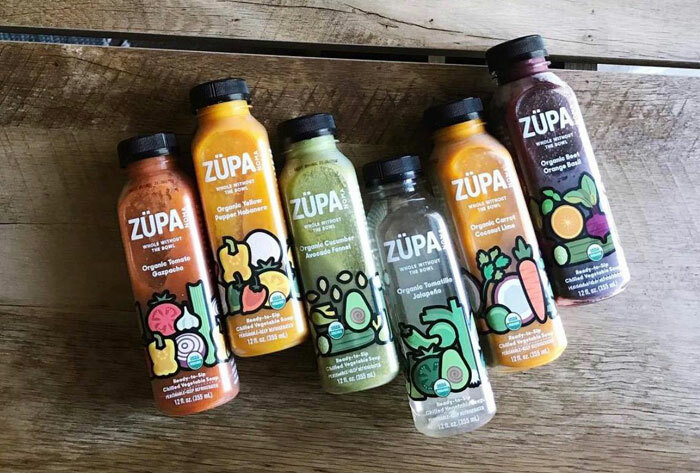 Sebastiani also anticipates that Zupa will have its own capital raise, whether directly through Sonoma Brands or outside funding, later this year. Sebastiani gained notoriety and perhaps “rock star” status for his story as a dynamic founder — and will look for similar stories in planning the next chapter of the Sonoma Brands’ story.